The current easiest possible way to get rid of private student loans is to get qualified for any of the private student loan forgiveness programs. Here we provide an insight on the various private student loan programs along with their eligibility criteria. The easiest way to get rid of private student loans is to get qualified for any of the private student loan forgiveness programs. Student loan forgiveness programs help to get rid of the loan debt after making on-time payments for several years. It's difficult to find private loan forgiveness, hence, we have given some of the programs below which can help you with the same. 13 Which type of bankruptcy should be filed for discharge? 16 How can I lower my private student loans? 17 What are the issues in debt settlement? The program aims to grant forgiveness to students with Federal student loans, who have been misled by the college or compelled them to engage in misconduct, by violating certain laws. For Federal student loan based on borrower defense, an online application is submitted in any of the following ways - An online application form is submitted along with a digital signature. An additional application can be added as a part of the external documentation while starting the application process. A fillable PDF application form is generated, printed and signed in. The completed form by mail is sent to the US Department of Education. A few documents that would be helpful to your application are as given below - documentation for school applied for borrower defense, the program of study, dates of enrollment. Preparation of additional documentation prior to starting the application process is recommended by the ED. Promotional materials from the school, emails with school officials, and the school’s manual or course catalog are essential. To be qualified to receive the borrower defense to loan repayment, few of the criteria to be met by the borrower are as given below. The school misled you or engaged in misconduct in violation of certain laws. Borrower defense can be demonstrated through an act or omission. Violation of state law for a federal student loan or related educational services. Though student loan repayment comes in different forms, one of the most common types of repayment is the Income-Driven Repayment. IDR can result in debt forgiveness at the end of the 20-25 year repayment term. Career fields such as social work or education can result in debt forgiveness after 10 years. Forgiveness programs are available for loans including direct subsidized or unsubsidized loan, direct consolidated loan, direct PLUS loan, Direct Stafford Subsidized or Unsubsidized Loan, and the FFELP Loans. If your Navient loans are federal, then you are eligible to receive benefits from any of the programs. Income-driven repayment programs - helps to make smaller monthly payments for a longer term. If at the end of the erm all your payments are made on time, and in full amount, then the remaining balance of federal student loans are discharged. Public Service Loan Forgiveness - This program is offered to a category of public service professionals, after 10 years of loan payment under the IDR Plan. People who work in the public sector or non-profit organization receive benefits from this type of programs. Total and Permanent Disability Discharge - This program is available to borrowers who make student loan payments due to total and permanent disability. Teacher Loan Forgiveness grants $17,500 to teachers who work in title 1 school for nearly 1 year. Application to repayment plans and other forgiveness programs becomes easier with the help of Navient. Navient being a loan servicer helps in managing your loan payment, and application and switch of repayment plans. Navient has separate applications for Income-Driven Repayment Plan Application, Public Service Loan Forgiveness Application, Disability Discharge Application, and Teacher Loan Forgiveness Application. Private Loan Assistance Programs like those offered to healthcare providers, by the National Health Service Corps helps in refinancing and negotiating lower monthly payments. It is possible to have federal loans serviced by the Navient or the private loans that are serviced by the Navient. The closed school discharge program is another program aimed at private student loan forgiveness. 100% discharge of a loan is possible for William D Ford Federal Direct Loan Program, Federal Family Education Loan Program, or Federal Perkins Loan Program if the candidate is unable to complete his program due to the closure of his school. The student is also eligible for Closed School Discharge Program if the candidate was enrolled when the school was closed, or if the candidate was on an approved leave of absence when the school was closed, or if the school was closed within 120 days, after the withdrawal. The candidate remains ineligible to obtain the loan discharge if the candidate’s school closes and any of the following conditions remain true. Withdrawal for more than 120 days, except in exceptional circumstances. During the process in which the discharge application is being reviewed, you wouldn’t have to make your payments. The loan servicer would be able to provide clear insights on whether payments are to be made during the application review period. And if after the review, you received a loan discharge for the entire amount of your loan, then you wouldn’t have to make any more payments. However only if a small amount of your loan is granted a discharge then you would have to repay the rest of the amount. The US Department of Education will initiate the Discharge and will be notified to you by the loan servicer. If in any case the discharge is denied then you will be held responsible for repaying the loan amount. Borrowers from Corinthian owned Heald College, Everest Institute and Wyotech campuses filed a complaint against the ED’s handling of borrower defense as these campuses misrepresented job placement rates for certain programs. The preliminary injunction prevented the Department of Education from using discharge methodology challenged in the litigation. With the rights granted by the injunction, the borrowers from the Corinthian Institutions needn’t pay their loans and forbearance is granted to them. In the first case, ITT Tech is an institution that has complaints filed against fraudulent activity to students. Hence the institution’s students can easily make use of the borrower defense against repayment program. The loan servicer can be found out by logging in to the My Federal Student Aid Website. Two completely different student loan forgiveness programs include FTC’s Settlement with Devry and, Borrower’s defense to repayment discharges. Aequitas Capital, a popular Hedge Fund, has partnered with the Corinthian college in misleading students to draw out nearly $200 million in student loans. The National College Student Loan Forgiveness Program is one another forgiveness program similar to that of the Corinthian College. Private Student loan consolidation is another effective strategy that can be adopted. However, private student loans cannot be consolidated with federal loans. But there are several options to refinance private student loans. 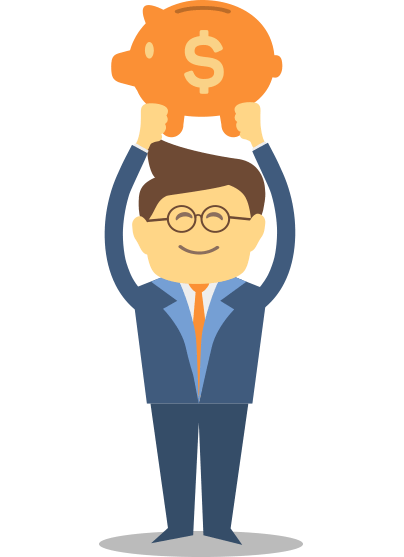 In private loan consolidation, one or more private loans can be combined into a single loan. Interest rates on private loans are based on credit scores. Moreover, if the credit scores have increased by 50-100 points, then you may be able to consolidate the loan with another lender at a lower interest rate. You can even speak to your current lender if he/she would offer a lower interest rate for the loan because of an increase in your credits. To effectively lock in the interest rate, you can use a fixed rate home-equity loan in order to pay off the private education loan. A few of the consolidation lenders include Citizens Bank, Citizens One, LendKey, Cedar and more. Citizens Bank helps in refinancing your student loans in order to keep more of what you earn each month. You can find your personalized rate and savings within two months. Rates can be as low as 2.98% APR. An average of $2,544 per year is saved. It is possible to refinance the loans the parents took on behalf of their children and lower their rate by 3.71% by refinancing their federal plus loans. Citizens One, the National lending division of the citizen’s bank helps in refinancing student loans and keeping more of what you earned each month. The interest rates are as low as 2.98% APR. An average of $2,544 per year is saved. Refinancing of parental loans taken on behalf of children is also allowed which thereby reduces the rate by 3.71% by refinancing the federal plus loans. Lendkey is another consolidation lender, that saves tonnes of time and money by instantly comparing student loan refinancing rates from 275+ community lenders. You have an option to choose the rate and the monthly payments, that fits your budget and enjoy unmatched benefits. Up to 18 months of unemployment protection is provided and utmost security is granted. The fixed interest rates range from 5.13%-8.97%. Variable interest rates fall between 2.57%-8.44%. The benefits of using the student loan refinancing of the Cedar Education Lending Private Student Loan Consolidation is as given below. Consolidation and refinancing between $7,500 and $1,25,000 in undergraduate federal private and student loan debt and up to $2,50,000 for graduate students will be possible. Variables and fixed rates starting from 2.57% and 5.13% with multiple term options are possible. After 12 consecutive on-time interest and principal payments, the cosigner can be released. 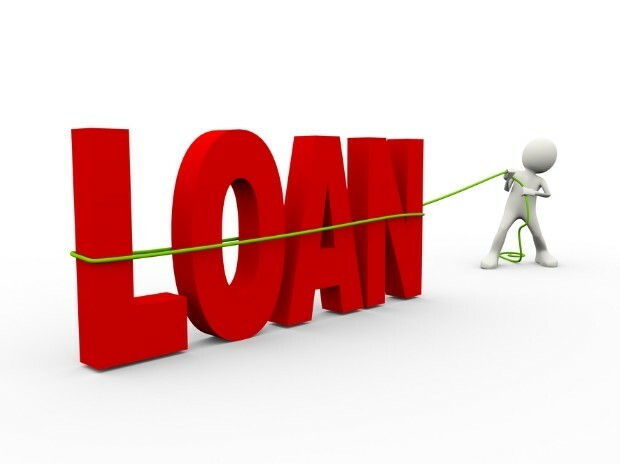 Advantages of consolidating several different loans into a single one are numerous. One use of it is to save money on interest payments. A decrease in the number of outstanding loans, lower interest rates, and payments, longer v/s fixed interest rates, better terms and conditions and more are a few of the advantages of loan consolidation. Hopefully, Wells Fargo and Discover financial services have helped in offering private student loan modification program to the existing clients. Private student loans account only for 8% of the total $1.15 trillion in student loan debt. In the pilot phase of the Wells Fargo Student Loan Modification Program, many borrowers had their payments reduced by 31%. Existing borrowers who were 120 to 130 days late on their payment, or was at current and at risk of falling behind due to unexpected circumstances was offered a chance to pay in the current month. Borrowers whoa re 130 days late are not eligible for the program. The eligibility of the program is decided based on the current income, score, and debt. A documented hardship should be qualified by all borrowers on the loan. The minimum duration for which the modification will last is 12 months and can be extended up to a lifetime. If the borrower is late for 130 days, then he would automatically become ineligible to receive the program benefits. Discover Financial Services also did extend, interest-only payments to some of its borrowers. The firm would be offering an interest-rate-reduction and partial loan forgiveness options. Qualified Education Loans cover qualified higher education expenses, for Cost of Attendance. For a loan to be eligible as an educational loan it has to not fall into a set of criteria including attending an ineligible school, borrowing more than the school’s cost of attendance. The fact is that it has never been so much easy to file a private loan bankruptcy discharge. The types of loans that are easily receiving bankruptcy discharge are as given below. If your college is not mentioned ‘eligible’ to conduct a course by the Department of Education’. If the student loans are provided by institutions such as large banks and massive financial institutions. If the loans are serviced by Navient, sued by the Federal Government for indulging in misleading or wicked activities. And hence creating the Navient Student Loan Forgiveness Program. If the programs are not offered at traditional four-year colleges including vocational training institutes, professional institutes and many more. Even if you don’t qualify for a full-discharge, you’ll become eligible to receive some percentage of discharge. A few of the procedures involved in granting student loan bankruptcy discharge are as given below. The court has to agree to your hearing that the loan prevents you from obtaining the basic necessities of life such as food and shelter. Courts would use different tests to determine the degree of hardship. One of such tests is the Brunner Test, testing for poverty, persistence and good faith. Poverty test identifies if your current standard of test does not allow you to maintain a minimum standard of living for you and your dependents. The duration for which your current financial situation would persist is identified. The Totality of Circumstances Test is an aid to win approval for winning student loan bankruptcy. Cutting costs, reducing expenses and paying off the private student loan are methods to satisfy the conditions of the totality of circumstances. The Bryant poverty test is one hard test to qualify for unless you are finding it very difficult to satisfy your expenses. The Johnson test is so much similar to the Brunner Test. In the Johnson Test, the test evaluations are based on the following factors. Education - The level of the person’s education and its ability to generate income and its effects are identified. Dependents - As dependents are a serious burden to those with a loan. This is because the income that you receive would have to be shared for the others as well as paid for loan-repayment. Good faith efforts - The efforts that were taken by the borrower in order to pay off the debt previously is studied. This clearly indicates if the person was previously negligent in paying off his debts. Paying off the debt, reducing expenses and inessentials are efficient methods for good faith efforts. Which type of bankruptcy should be filed for discharge? If you fall under Chapter 7 bankruptcy, then a full amount of private student loan has to be repaid by the borrower. Speaking with a bankruptcy attorney will help you in finding out the best option to overcome your current financial situation. For a filed bankruptcy under Chapter 13, debt reorganization is performed for restructuring your loans and allowing you to pay off in an efficient way. The chapter 13 plan helps in determining the size of monthly student loan payments. And this helps in saving hundreds of dollars each month. The reorganization plan saves hundreds of dollars, each month. If repayments are made under Chapter 13, collectors will not be able to harass you for 3 to 5 years. Priority is assigned to the private student loan, during the course of the Chapter 13 plan. This helps in ignoring student loans and paying the debt. Advice on the process for a specific situation can only be guaranteed by a local student debt attorney. You can raise a defense in your case, claim a breach of contract, deceptive business practices, and defenses to continue your payments can be made. Qualified educational loans from eligible educational institutions cannot be discharged, says Applicable Bankruptcy law. The first step is to identify if your school is categorized under an eligible educational institution. Until 1978, student loan debt was discharged by bankruptcy, without any exceptions. By filing for bankruptcy, 100% relief was guaranteed. Congress was lobbied to change the law and hence won some serious concessions. That is before 1978, it was possible for people to discharge the student loan debt when they ran into serious trouble. The Congress was convinced by the lawyers, to pass a law, so that people received discharge only after the completion of at least 5 years of payment. In 1998, a law was made that private student loans aren’t discharged via bankruptcy. In 2005, a loan is passed preventing 100% of students from filing for bankruptcy. Some federal programs provide forgiveness for loans for working in a critical but hard-to-fill role for a couple or few years. However, teacher loan forgiveness and public service loan forgiveness programs are not available for private student loans. A few lenders grant forgiveness to the borrowers due to acute conditions such as death or disability. Lenders including Sallie Mae, Laurel Road, and Wells Fargo offer this advantage. A contract has to be checked and has to be spoken with the lender in this situation. The recent change in the tax law has resulted in the amendment that the amount discharged is no longer taxable. If the contract that you have signed does not have flexible repayment terms, you have a chance to negotiate with the lender. Loan forgiveness is sometimes granted due to missing paperwork as well. Forgiveness can also be granted in case of fraud by the institution. There are also lenders that would allow you to make interest-only payments. Lendkey is one such lender that permits the borrowers to enter into an interest only plan for almost 2 years. How can I lower my private student loans? The chances for a total student loan forgiveness is usually rare. However, there are several options available to reduce the amount of repayment. For example consider, refinancing a student balance of $35,000 with an interest rate of 5.7% for a duration of 10 years. You will definitely be able to save the interest of $1,471 after refinancing the principal amount for a duration of 10 years with an interest rate of 4.99%. As private student loan settlement is not legal, beware of anyone who guarantees you the same. Do not fall prey to anyone who does not tell you that settling debts can harm your credits. Trying to settle your private student loans can cause you to receive collection calls. Beware of anyone who doesn’t warn you this. What are the issues in debt settlement? There are certain risks that the borrower has to face in the case of a debt settlement. They are as follows. During the process of settlement, you will have to receive a number of calls from the collectors. 1 - Is private student loan forgiveness granted? Private Student Loan Forgiveness is not granted by Federal Programs including the Teacher Loan Forgiveness Program and Public Service Loan Forgiveness. However, there are employers who offer forgiveness for both public and private programs. 2 - Is a private-student loan discharge possible? Though it is difficult to discharge if the borrowers can prove the undue hardship, then the private student loans can also be discharged. 3 - Which are the effective ways to lower private student loans? Few of the most effective ways to lower student loans are deferment, forbearance, and lowering of the interest rate by refinancing. 4 - What happens if private student loans are not repaid? If the private student loans are not repaid, then the lender would ask the cosigner to repay the loan. Even if the cosigner begins to repay the loan, the borrower would still be held responsible for repayment. Lenders including CollegeAve, Sallie Mae, LendKey, Citizens Bank and Common Bond offer private student loans. 6 - How long would it take for the private student loan to be disbursed? After the loan is approved, it takes nearly 2 weeks to 2 months for the lender to send the loan proceeding to you or the college. If the money is sent to the college it takes minimum 1-2 weeks for the money to be refunded to you. 7 - What is the minimum credit score required to apply for student loan consolidation? The minimum credit required to apply for loan consolidation is 680. 8 - Which are the most effective tips to fight a private student loan debt? The three effective ways to fight a private student loan debt is as given below. 9 - Are private loans offered without a co-signer? Yes, few loans such as the Smart Option Student Loans are offered without a co-signer. 10 - Can private loans be used for living expenses? The US Department of Education lets the students use the loan amount for other expenses including living and housing expenses during the course duration.